I have never been a huge fan of liquid make-up including concealer, but when I saw reviews of this maybelline highlighting concealer I had to try it and see what all the buzz was about. I don’t like liquid makeup because it feels greasy and heavy on my face and concealer never matched my skin tone just right. I usually just put pressed powder on and thats it. So I went to target and bought it. I tried it that same night. 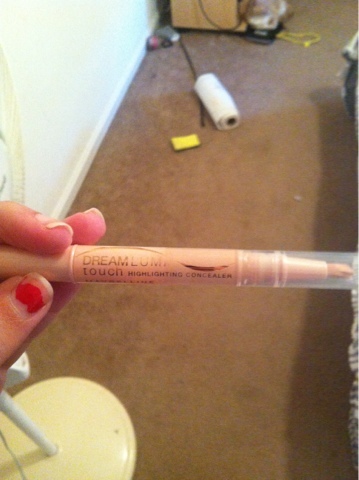 I LOVED it, and for someone who doesn’t like thick or liquid makeup I was surprised. It didn’t feel thick or greasy. It really brightened my face up, it’s pretty awesome! I even wear it by itself sometimes. I definitely recommend trying it!